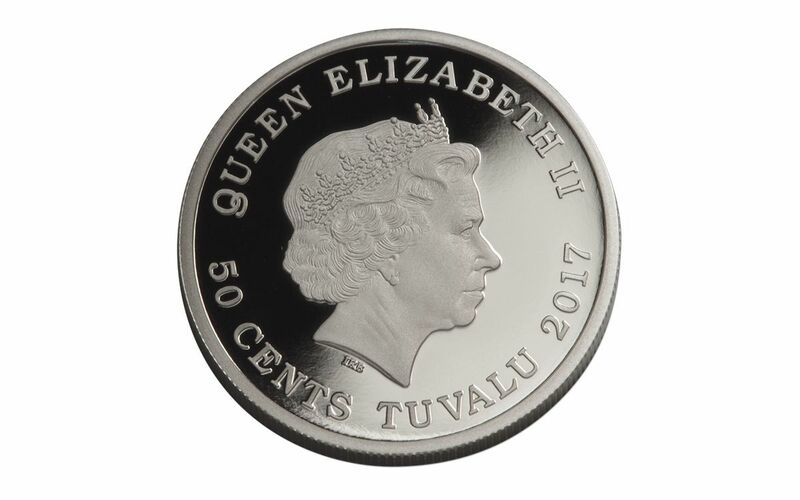 This is a wonderful colorized proof coin that is presented in stunning half-ounce of pure silver with colorized design that is in the original government packaging. 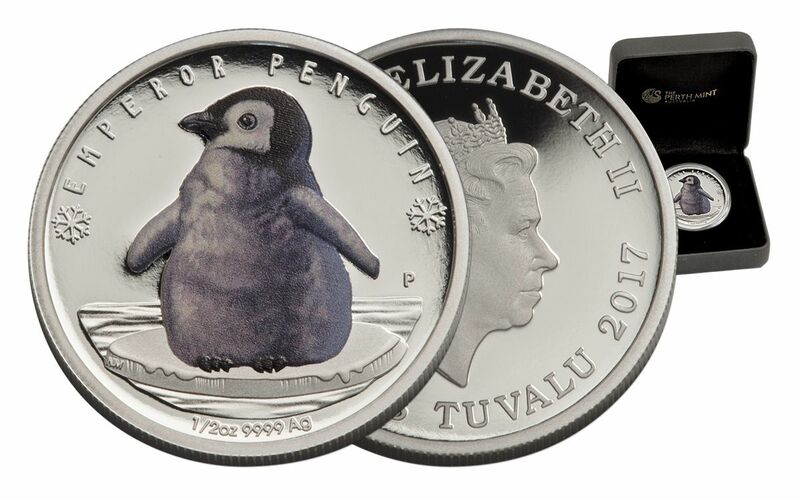 This amazing 99.99% pure silver coin features multiple technologies to bring out the stunning beauty of the Emperor Penguin – part of the Polar Babies coin series. 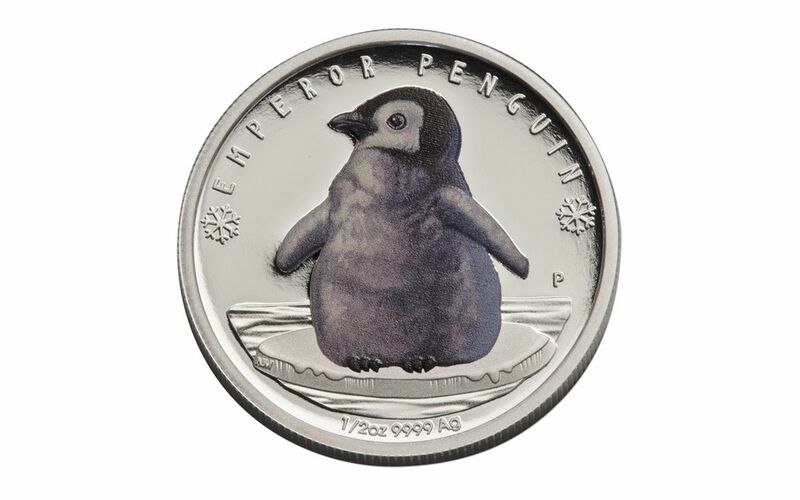 The obverse for this coin features the colorized rendition of an Emperor Penguin chick resting on. The reverse portrays Queen Elizabeth II with inscriptions for the denomination, country of origin, and year-date. The traditional serrated edge is also present to deter counter-fitters. 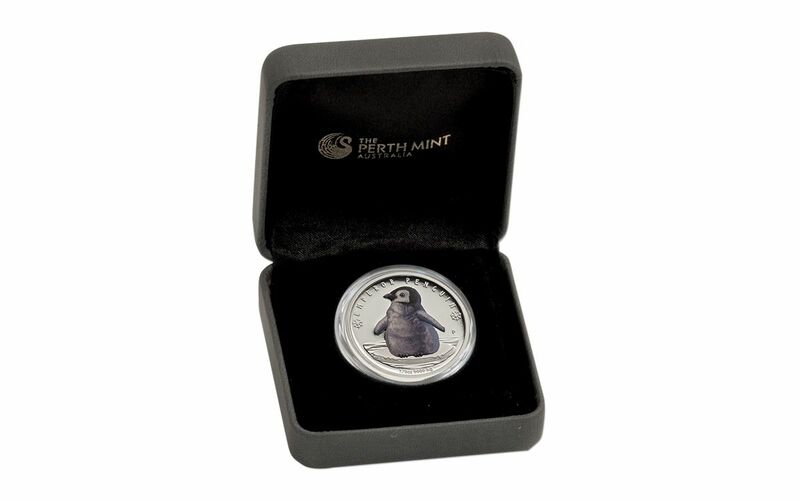 Because Proof coins are specially manufactured using polished dies and struck several times, the cute little penguin seems to come to life against the mirrored background. Your coin will arrive in presentation packaging and be accompanied by a numbered certificate of authenticity. With only a mintage of 5,000 in the entire world these penguins may disappear fast. Order your today.